Singapore was my home 20 years ago, and on a recent trip to the Lion City I decided to learn more about franchising in the country. I was able to interview small-business owners who are considering franchising as a growth model, existing franchisors and franchisees from food and non-food brands, representatives from the finance sector and law firms, and the Franchising and Licensing Association of Singapore (FLAS). Many thanks to all who patiently answered my questions and provided valuable insights. In many ways, Singapore is a great opportunity for franchise brands. Geographically it is situated in the center of Southeast Asia, one of the world's fastest-growing regions. Singapore's 5 million people enjoy world-class services, infrastructure, and a business climate second to almost none. Life expectancy stands at 83 years and has been at 80 or higher since at least 2005. The city state usually ranks one or two on the World Bank's Ease of Doing Business charts. GDP grew at a compound annual rate (CAGR) of 9% between 2005 and 2015. GDP per capita grew at a CAGR of 6% to almost $53,000. In total, household financial consumption expenditure increased from just under $50 billion to $107 billion, or by 130%, over the same period. It's a small country but the population increased by a third from 4.3 million in 2005 to 5.3 million in 2015, a CAGR of 3%. If international tourism figures are included, these numbers almost triple. By 2015, close to 18 million people had been in Singapore at any point during the year. A company does not need to register as a franchise in Singapore. As in many other countries, there are no disclosure requirements and Singapore has no franchise-specific laws. The advantages include little regulatory burden for franchisors. Also, getting the paperwork ready to start a franchise is a matter of days. The main legal point is the agreement between the franchisor and the franchisee. As one expert said, "As long as the franchisee and the franchisor agree, there are no regulations." For the franchise agreement, the parties don't need more than 30 to 60 pages. Not unlike other countries, Singapore does require something like a "proof of concept." That means prospective franchisors are expected to have run a business themselves before offering franchises so the franchisees can have some security. In addition, FLAS tries to set some rules to make people more comfortable about franchising. Also, the Millennials are helping. They are familiar with the business model, and it is their generation that has contributed to franchising picking up over recent years. For a foreign brand, entering Singapore is easy. The paperwork involved to set up a company is minimal. According to the World Bank, it takes three days for the start-up procedures to register a business. The requirement that 30% of a foreign company's directors need to be Singapore citizens is easy to meet. In praxis, foreign franchisors view this as a simple formality. The directors do not need to have voting rights, which means a foreign company just needs to sign up a sufficient number of directors. Based on my interviews, having foreign origins can be advantageous to a franchise system. They have already met the "proof of concept" requirement as business experience outside of Singapore is recognized. In addition, local consumers and prospective franchisees seem to trust foreign concepts and are open to new systems. 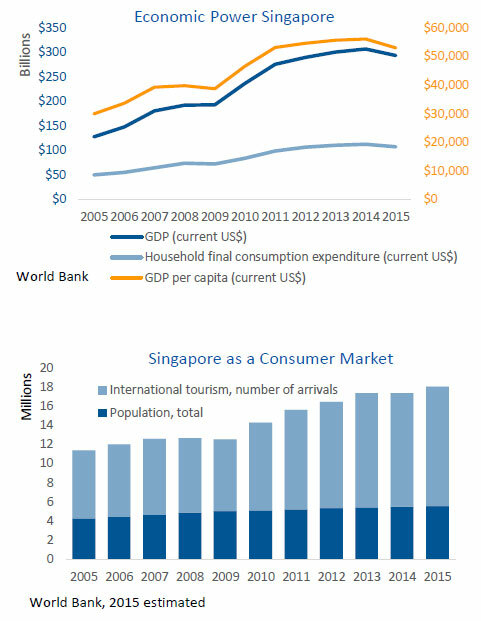 Singapore offers relatively affluent consumers, the rule of law, a strategic location, a low tax rate, and an apparently increasing affinity to franchising. What are the challenges then? Well, that depends on who you ask and I received mixed answers. Generally, the list will look familiar to anyone who franchises: finding qualified franchise candidates and financing. There seems to be one additional challenge specific to Singapore as the running costs of a small business can be extremely high. Qualified franchisees are hard to come by after a while. One large international non-food franchise told me they had no initial problems finding leads. Interest was high and prospects came directly through the brand's website. Now the franchisor has to employ the services of brokers. Brokers in Singapore tend to charge a flat rate of about S$25,000 per franchisee. As of March 2017, that is close to US$18,000. Another strategy is to go after large corporate franchisees. Another large international food franchise I spoke with does exactly that for entire countries or regions. This requires a careful selection process to mitigate any risks in cases where the local corporation turns out to be too weak. If successful, this model can prevent many headaches for the foreign franchisor. Corporate franchisees are geared toward growth and efficiency and, where the partnership works out well, can save the franchisor resources. Corporate franchisees are also able to handle the capital requirements better than individual franchisees. Based on the discussions I had, financing can be a nightmare in Singapore or no problem at all. First the "no problem" camp. This view was shared by interviewees whose experience involved brands with a good reputation. As with consumer acceptance, there seems to be a trend among lenders to trust foreign brands with a history. More recently, aspiring franchise candidates have benefited from crowdfunding. In addition, the government of Singapore has initiated a program called Spring Singapore used to provide SME loans, including micro loans, equipment and factory loans, working capital loans, bridging loans, and venture loans. There is a specific program for startups as well. Similar to the U.S. Small Business Administration or Germany's Bürgschaftbanken, the loans are backed by the government to minimize risk for the lender. However, according to some franchisors and franchisees I spoke with, financing remains an issue despite these programs. For starters, many lenders assess only the individual borrower and regard the business as an individual entity. In short, they fail to recognize the support system that will stand behind the borrower through the franchise structure. To be fair, the same people also told me that their specific sector had previously been adversely affected by several bankruptcies, making lending in this area unattractive to banks. Yet, in this case, the franchisor was able to provide performance data for the Singapore market in addition to international markets to underline the system's viability and to show that lenders get their money back. Additionally, the franchisor in question provides equipment financing and wants franchisees to bring at least 30% to the table to ensure they have skin in the game. All this despite the fact that in some cases banks will be willing to provide 100% of the required capital. One conclusion is that not having laws specifically relating to franchising can actually be a disadvantage. Franchise systems spend time and money educating lenders about the factors that can mitigate their risk. A lack of disclosure requirements also means that lenders have no context available for their due diligence. Franchisors and franchisees thus lose out on opportunities to grow or find themselves having to take more hurdles than they would have to. Singapore is a small but rich island. Land is limited and as a result expensive. What makes the real estate market especially precarious for SMEs is that commercial leases can be as short as one year. By comparison, in the U.S. if there is a loan, the lease term and option must be equal to the loan amortization. In retail that usually means the lease term falls in line with the franchise agreement term. For example, in Australia 5 years with two 5-year options is pretty common. In many instances franchisors take the head lease and sublet or provide a license to occupy to the franchisee. This gives them greater control over the site and reduces the chances of finding out late that a franchisee has fallen behind with their rent. It can also help leverage collective bargaining power when multiple sites are involved. 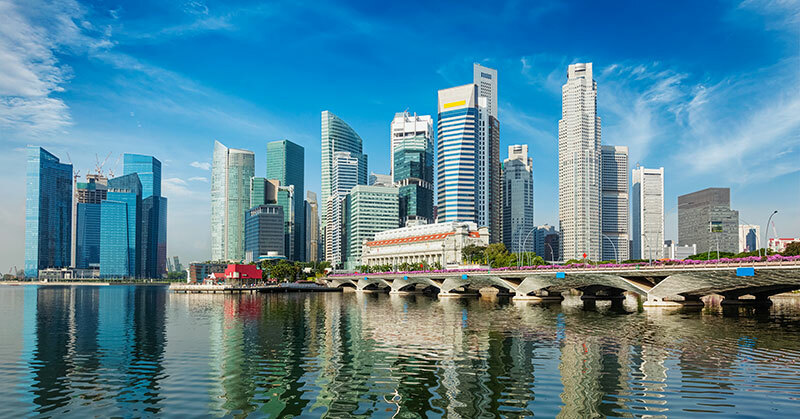 The short lease term in Singapore brings a lot of uncertainty to a business. According to one person I spoke with, "The moment the landlord sees you are making money, they up the lease." Although to be fair, that praxis is not limited to Singapore. For instance, landlords in Australia sometimes add a percentage of revenue to the rent. For example, major shopping centers link the rent directly to turnover, e.g., flat rate minimum plus a percentage of revenue above that. In addition to expensive real estate, operating costs are further affected as many commodities necessary to run a business must be imported. For example, according to the World Bank, food imports as a share of all merchandise imports increased from 2.8% to 4.1% between 2005 and 2015, a rise of almost 50%. How do franchisees and SMEs cope? Some limit growth in Singapore and go international quickly. They will reach that phase soon enough anyway. The city-state is a metropolis and as a market more easily saturated than larger countries. Alternatively, some systems try to find larger companies to buy them out and rebrand the existing concept. In conclusion, Singapore has many attractions for franchise brands. Each system will have to conduct research on how to negotiate challenges that can be sector-specific or even brand-specific. If financing is not an issue, then real estate may be. However, be prepared to be transparent. Your franchisees need to know exactly how you address these challenges. Some lenders apparently need to understand the advantages offered to them by the franchise business model. Systems from countries with disclosure requirements such as the U.S. or Australia may have an advantage in that they have a lot of the necessary work done already. As for the others, even if you are not required to be transparent by law, it may be a good business practice. Peter Schwarzer is managing director of LeOS Franchise Consulting, a Munich-based consulting company with partners throughout Europe, the U.S., and Australia. Should You Open One or Multiple Beauty Franchise Locations? How Profitable Are Health and Wellness Franchises?